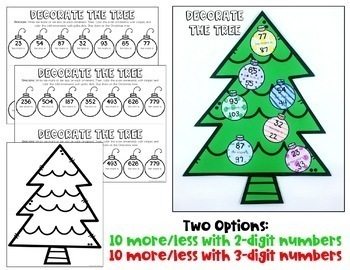 Find quick, Christmas holiday themed math and literacy crafts! These crafts include: Christmas addition and place value crafts and Christmas read aloud retelling activities! Decorate the Tree: Students will find 10 more/10 less of 2-digit or 3-digit numbers and will decorate the Christmas tree with the ornaments. 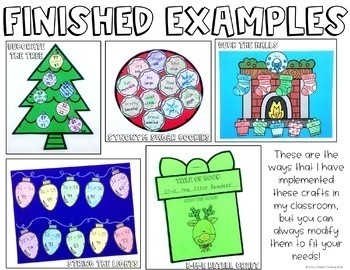 You do not need any additional materials besides paper to have your students make these crafts! 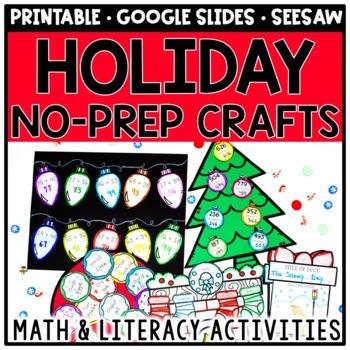 These are quick, print & go crafts for the busy holiday season in the classroom! Need more Christmas / Holiday math resources? 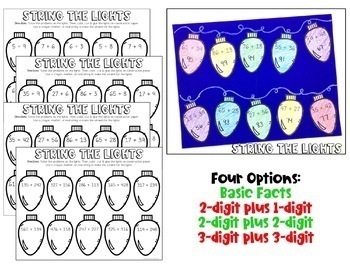 You might like my Differentiated Holiday Math Centers!